It puts an end to 13 years in power of her left-wing Workers' Party. 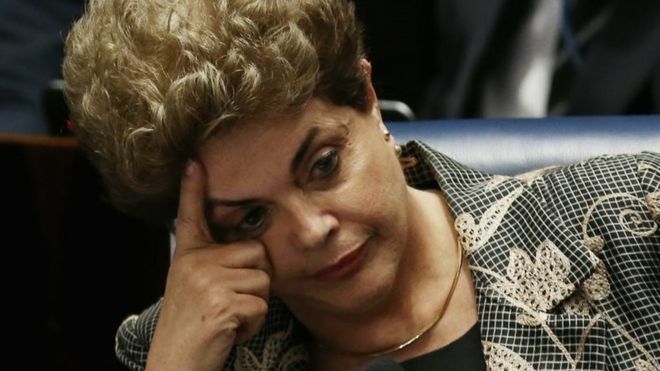 Ms Rousseff denies the charges. Sixty-one senators voted in favour of her impeachment and 20 against, meeting the two-thirds majority needed to remove her from the presidency. Acting President Michel Temer will serve out Ms Rousseff's term, which ends on 1 January 2019. Mr Temer, from the centre-right PMDB party, is expected to be officially sworn in later on Wednesday.